Having soup no matter the weather is something I have always done. I am not totally sure where I get that from, but it happens a lot. 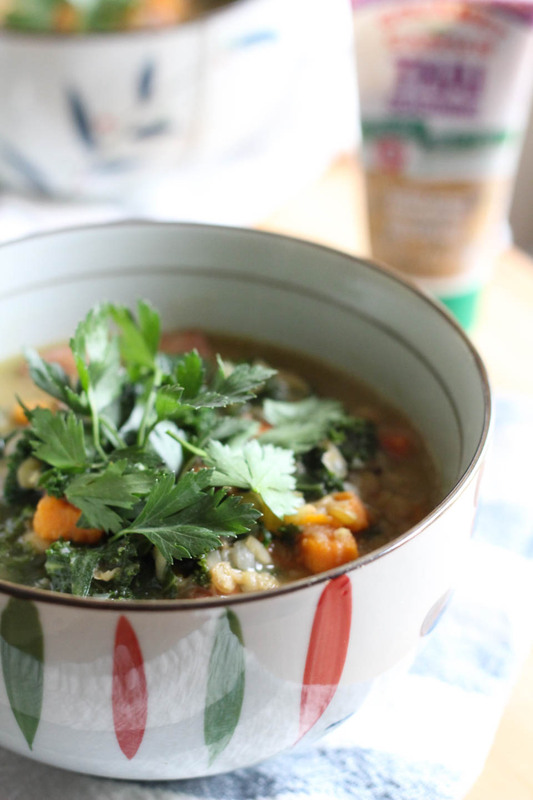 It’s so easy to make a tasty big pot of soup for leftovers, quick warm up meals, and stuff like that. My Mama makes fun of me because of this strange habit. And the only soups she really likes are lentil and Vietnamese Pho from time to time. She says soup reminds her of old people food. She also thinks this of blankets and sandwiches. I laugh so hard at these interesting correlations every time I hear them. I tell her I’m making soup and in Spanish, pretty much every time she say, “Puchi.” Puchi means yuck, and it will make you laugh hysterically! This time I said I was making Thai Coconut Milk Lentil Vegetable Soup, and she asked for a bowl. She is down with lentil soup, that is no old people food somehow lol! I could add here, she means it in no mean or disrespectful way, she is sixty nine years old herself. Which is not old at all, but for the twenty years I have been cooking, I have heard her say these things, and it funny to me. 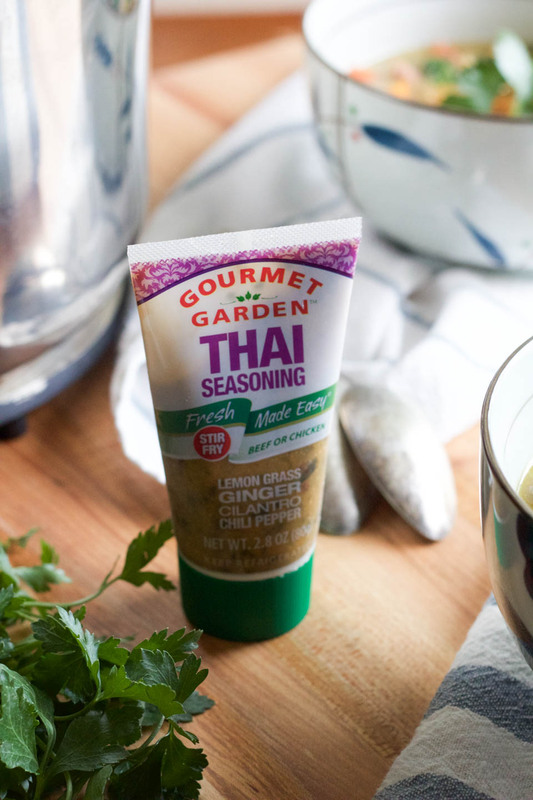 I love the Gourmet Garden Thai seasoning for ease. I am sure you know by now I keep them in my freezer at all times for making flavorful easy meals. This is no different. Building flavor into a soup is something I learned in Culinary School. I used to just throw all of the ingredients in, boil or simmer and done. While the soup will still be tasty, taking a little extra care in the beginning stages of soup cooking can make a huge difference in the end result. Sweating the onions, carrots, and celery is where it all begins. Sweating means cooking over low heat in a fat, adding no color to the food that is being cooked. That brings out the natural sugars and flavors in the vegetables. So you can totally skip this step, but I always recommend taking the time do it. Just a little tip to make your soup making skills more awesome. 1. In a large stockpot or dutch oven, place olive oil over medium heat. Once shimmering, add onions, sweat for 5 minutes. 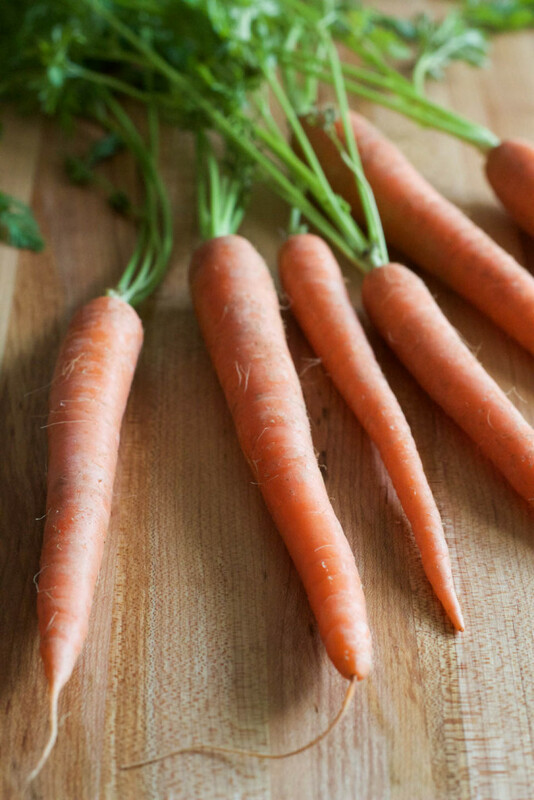 Add carrots and celery, sweat for 5 minutes. Increase heat to medium high, add sausage, brown for 3 minutes. Stir in Thai seasoning, cook for 2-3 minutes. 2. Add lentils, stock, coconut milk, sweetpotato/yam stir to combine. Bring to a very low boil, then reduce heat to medium low. Cook for 40 minutes. Taste for seasoning, add a pinch of salt and pepper, stir to combine. 3. Turn off heat, add kale, and stir. Allow to wilt for 5 minutes. Serve warm immediately or store in airtight container for up to 5 days. Prettiest soup on the internet. This is absolutely gorgeous. I’m a big fan of Gourmet Garden products. My daughter works in the produce department at our local grocery store. I always beg her to bring them home but she says they usually sell out by noon. That’s impressive. Kim, thank you SO MUCH! You are so sweet. That is a nice hook up for the great herbs. They are so convenient to have on hand. Oh this Thai seasoning!! Do you know we often pair it with our Pinot Blanc in the winery tasting room because it is so dang perfect. I love it more than anything. Love the idea of it in soup too! Wow, really? That is so cool! Thank you! 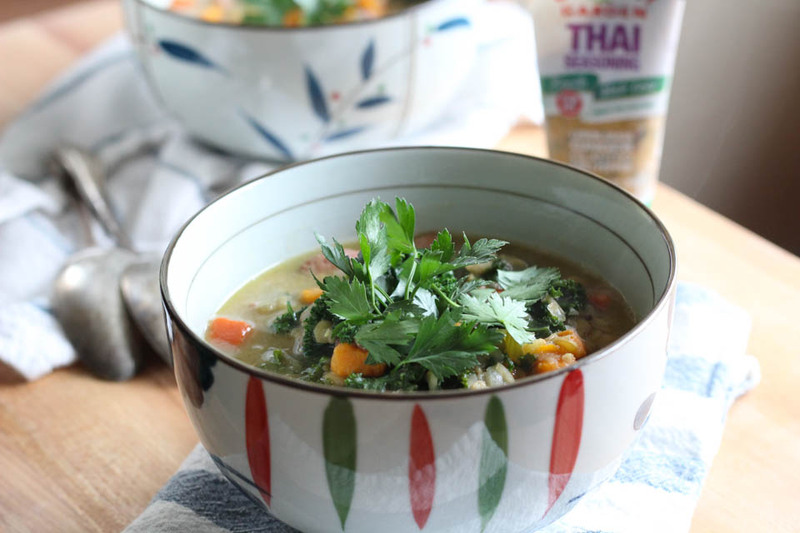 I can soup year-around, hot or cold out–pass me a bowl, especially this one! I like soup regardless of the weather as well… guess your mom would consider me an old person too, huh? I just say, I’m an old soul 😉 lol. 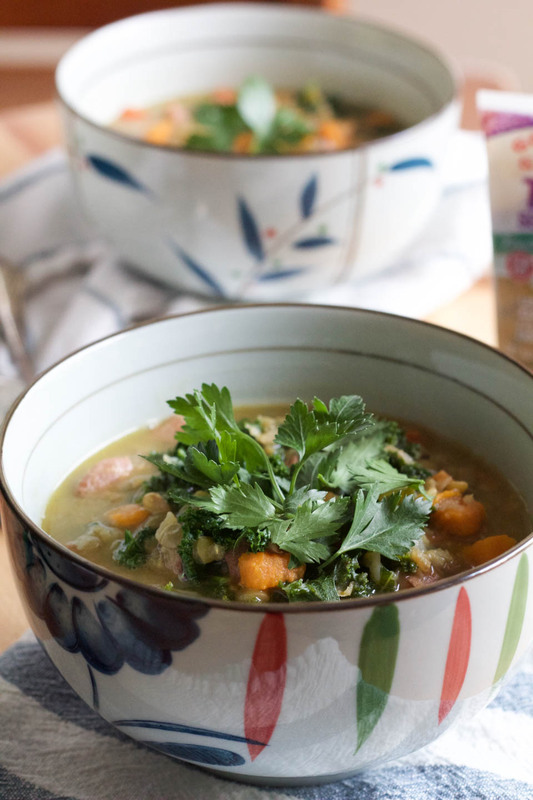 this soup looks wonderful and the flavors you packed in here sound delicious! Can’t wait to try it ♡thanks for sharing! I am with you 100% on the deliciousness of soup! We eat hot soup even in the middle of summer, because it’s just that good. 🙂 This sounds spectacular! You have to love all those intense spices. i totally agree that soup is a fine meal anytime of year. and anything with coconut milk is always so flavorful. love the ease of cooking with the ready-to-use herbs, and the freshness they give to simple meals! This looks incredible. I love how accessible Gourmet Garden makes fresh herbs.